This romper is quickly becoming one of my favorite pieces that I am highly anticipating wearing as soon as we reach temps over 75*! Check out the rest of the Tularosa collection, perfect for festival season and currently at Revolve. I absolutely love shoes, and lately I've been on a white shoe kick. 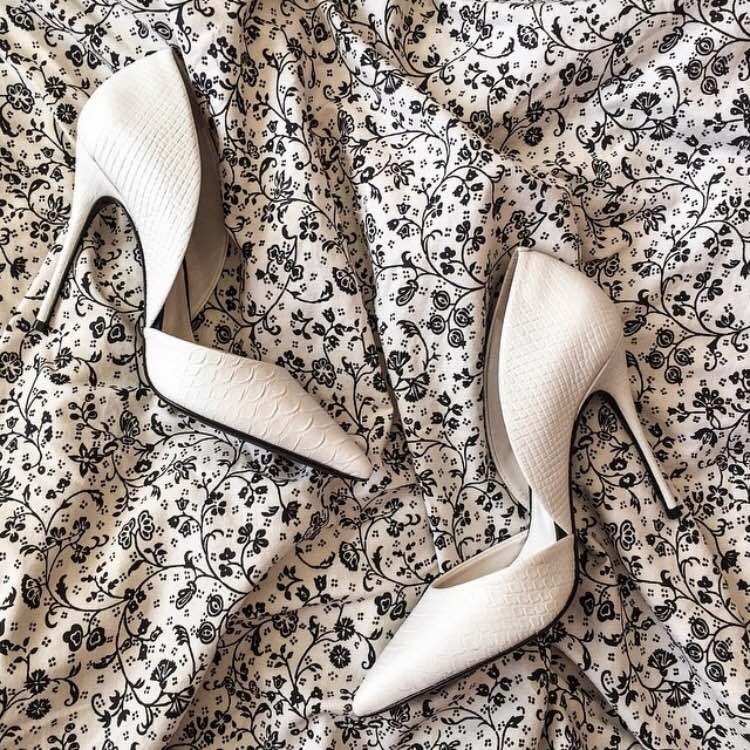 I found these textured Schutz pumps on sale and knew they had to be mine! We finally got some sun in DC so espadrilles were a must! 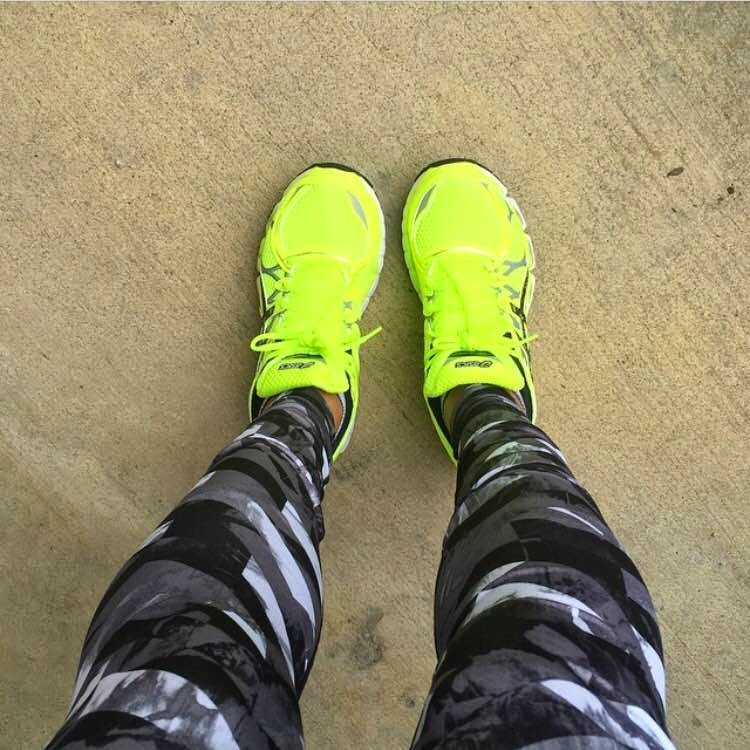 New running shoes are always a good thing, especially when they are neon! 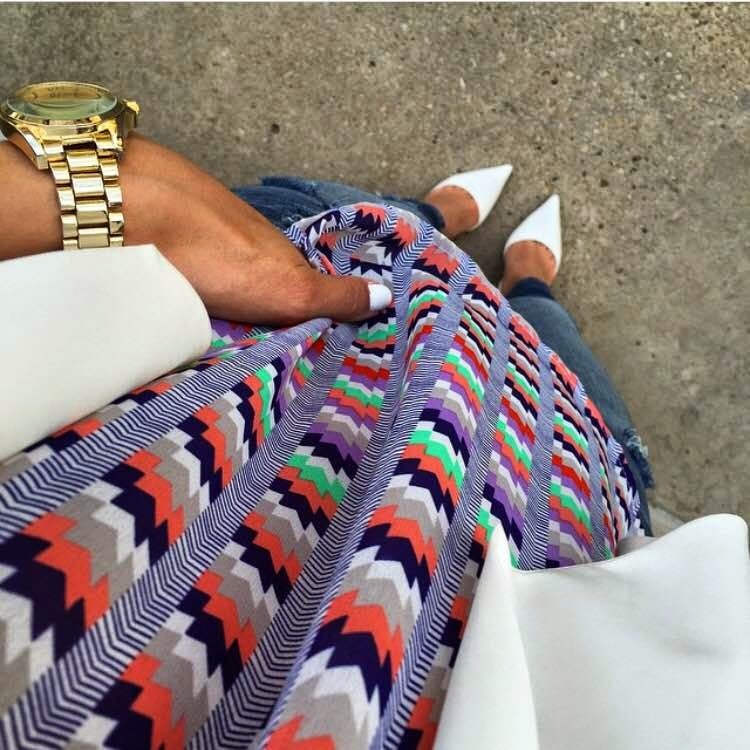 I searched high and low for something similar to this blouse and failed, miserably, sorry guys! This was a look from brunch the other weekend, I always go with my most oversized blouse, the one with the most give in the belly area, because there will be a food baby, maybe even twins. 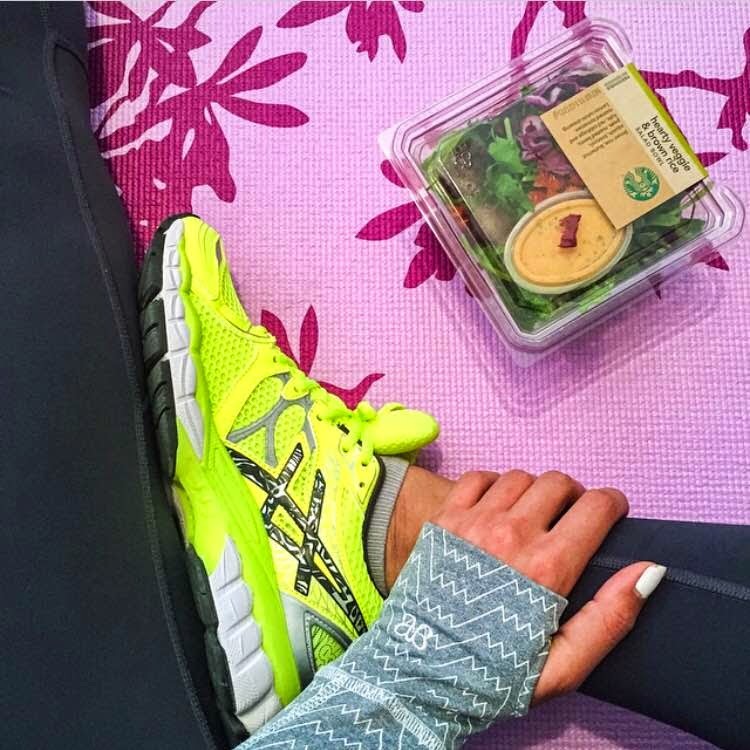 I like rewards for running on the weekends, it's usually something from Starbucks, I'm not sure why that's a reward since I go to Starbucks daily, sometimes multiple times a day, but their salads are the bomb.com so that was my "reward" this weekend. 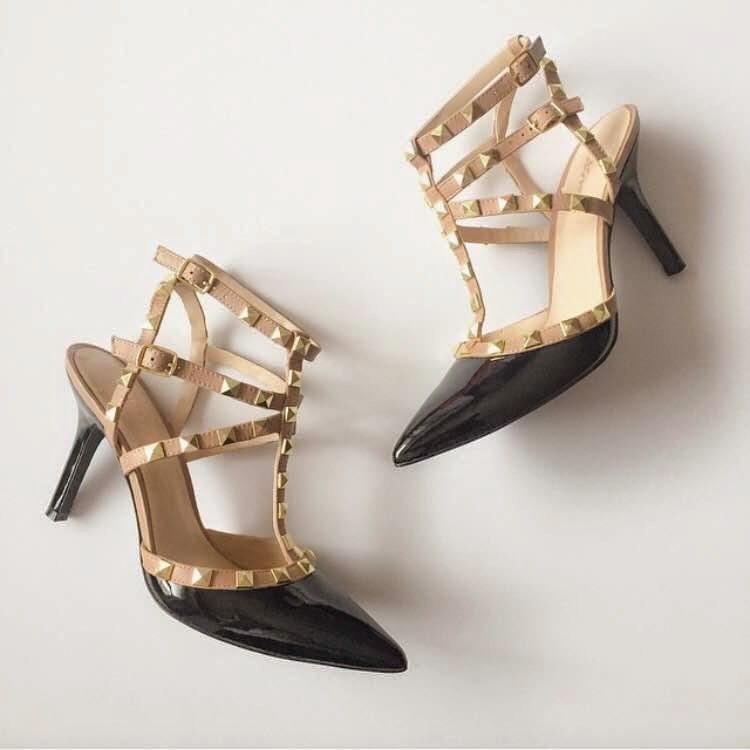 The best imitation Valentino Rockstud I've found to date! Sooo comfortable and under $100! Here's all the details for yesterdays Sunday style, white shoes have become my thing. If you haven't already you need to check out Rocksbox, it's the best way to get to try out designer jewelry for less than $20 a month (use my code and you get first month FREE!) + you get discounted prices on the jewelry you want to keep, it's like the Netflix of jewelry, you need it! 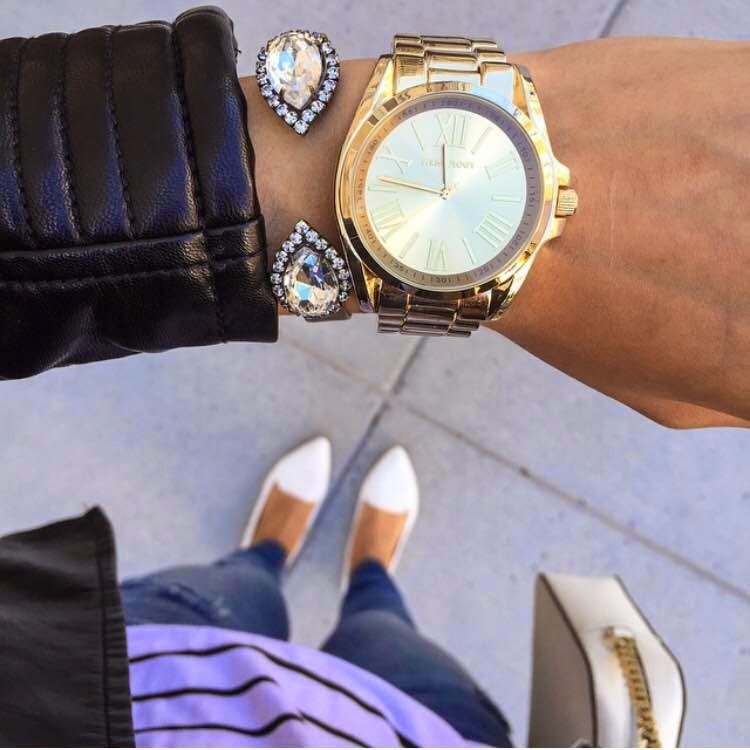 If you don't follow along on Instagram, @jasmindailyfashion, hop to it! Linking up with Let it Shine, Mix it Mondays, Manic Monday, Style to Inspire, and Weekend Snapshots! You have such a great IG feed. Of course I'm already following you there, but it's fun to see a recap and get an overall feel for your pics and your style. I love your Mischo nail polish and am wondering why I put my dark colors away for Spring. It looks great with your outfit. Really love those white pumps! ahhh love those white heels! Whenever completed, amass the innovative and post a duplicate as demonstrated by the timetable. One of the best points of interest of Google Drive is the ability to impart records to others effectively.